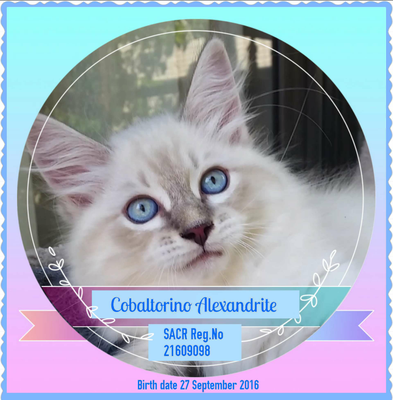 Anastasia gave birth to a beautiful, healthy litter of 5 kittens on 27 September 2016. 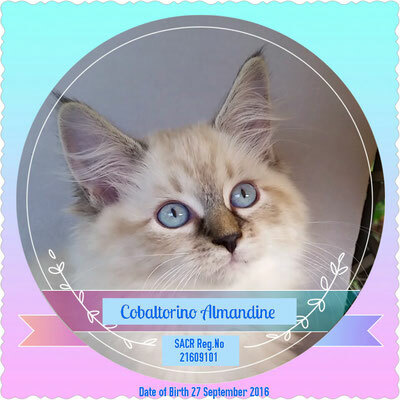 They are 12 weeks old here in their graduation pictures. 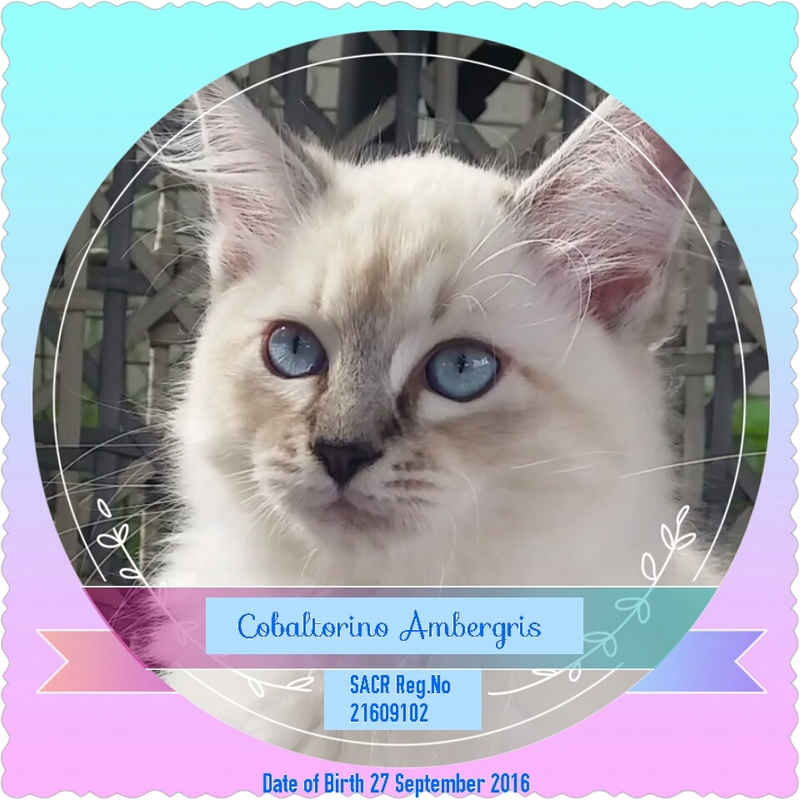 They have found wonderful homes in Cape Town (Cobaltorino Argon and Cobaltorino Almandine), Gauteng (Cobaltorino Alexandrite) and Botswana (Cobaltorino Antimony). 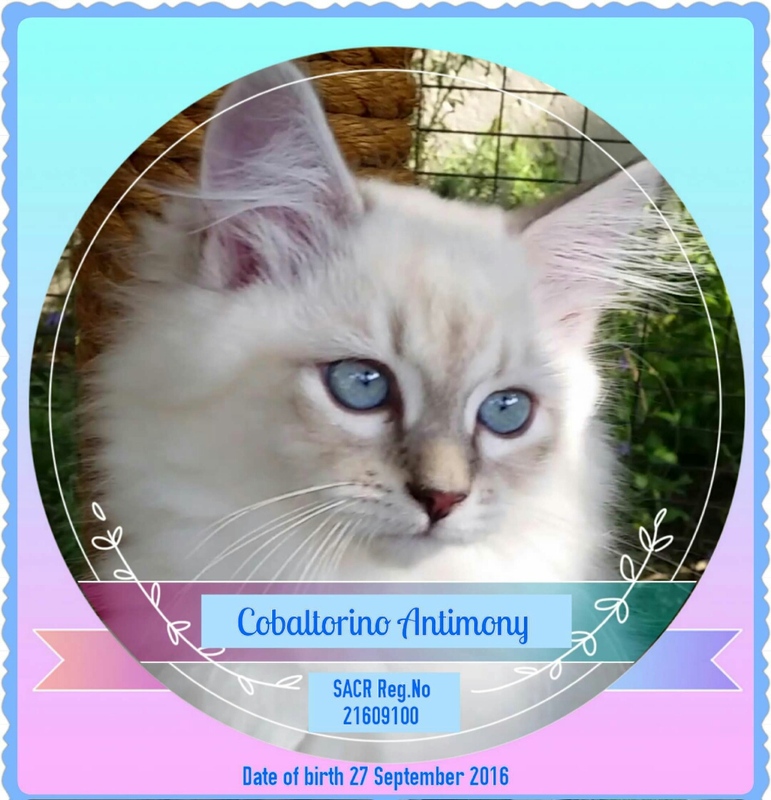 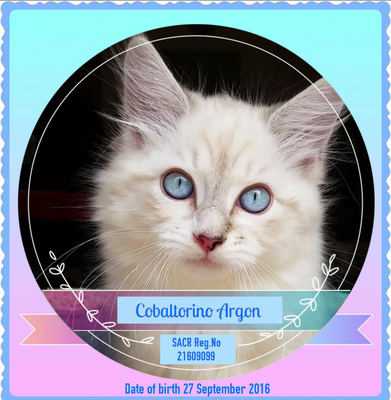 Our seal silver tabbypoint girl Cobaltorino Ambergris will be staying in our cattery. She is very similar to her father Nikolai.